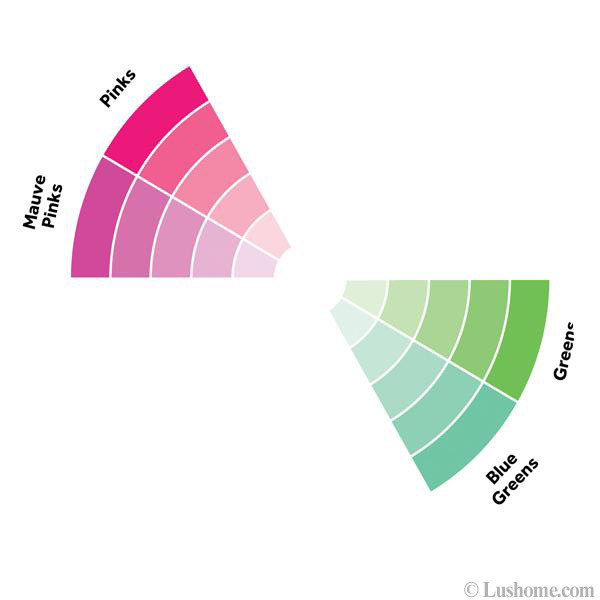 Are you looking for romantic color schemes? 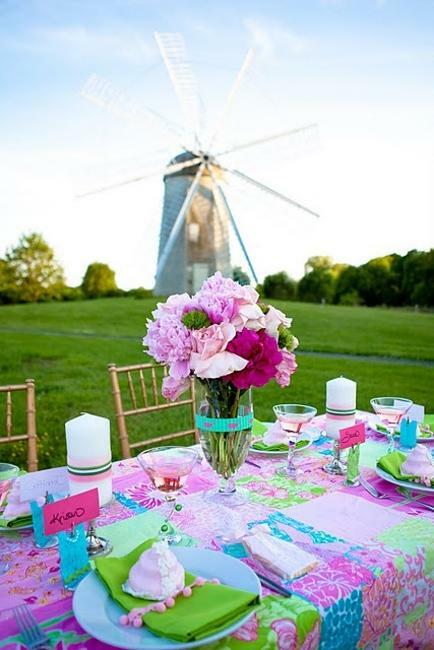 Green and pink are perfect for elegant and romantic home decorating. Green colors are relaxing and pleasant. Pink hues bring tenderness and enhance a romantic atmosphere. 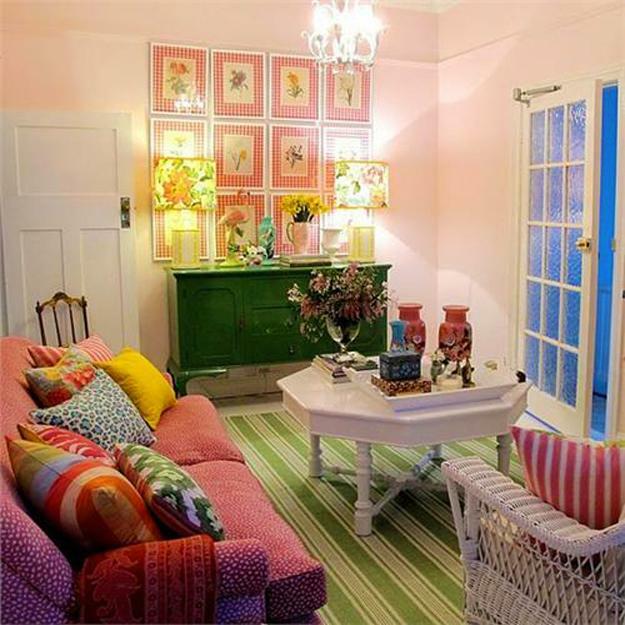 Suitable for all rooms and outdoor decorating, pink and green color schemes offer fabulous combinations with various monochromatic tones, black and white decorating ideas. These color combinations look even brighter with bluish tones, light beige, and golden accents. Soft pinks, mauve pinks or hot pink color shades work well with all greens and yellowish green colors. 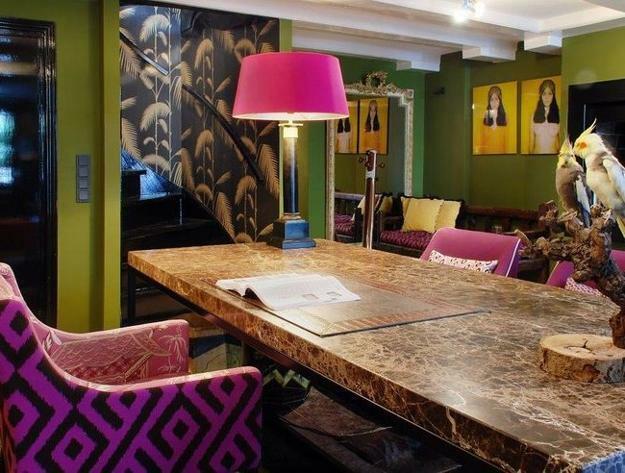 Combined with grayish and bluish hues and golden colors, green and pink create beautiful interior decorating color schemes. 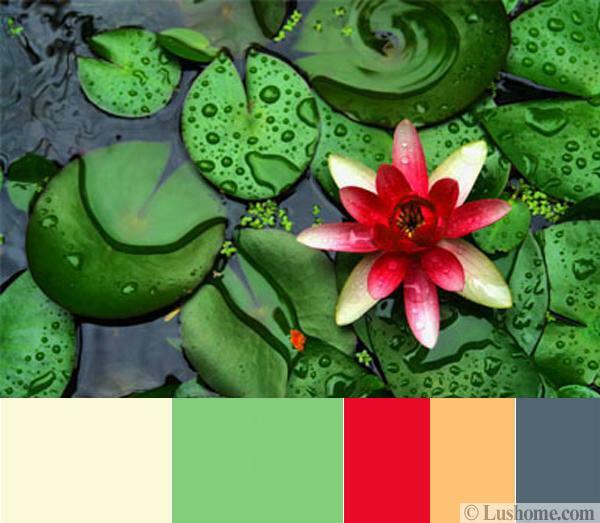 Also, these harmonious color combinations look natural in outdoor home decorating. 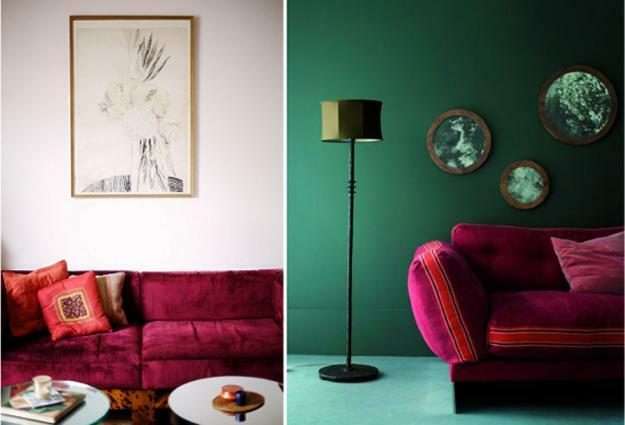 The bright hues call for pale tones to create playful and exciting, but peaceful and attractive living spaces. Light colors and grayish tones feel quiet and pleasant. 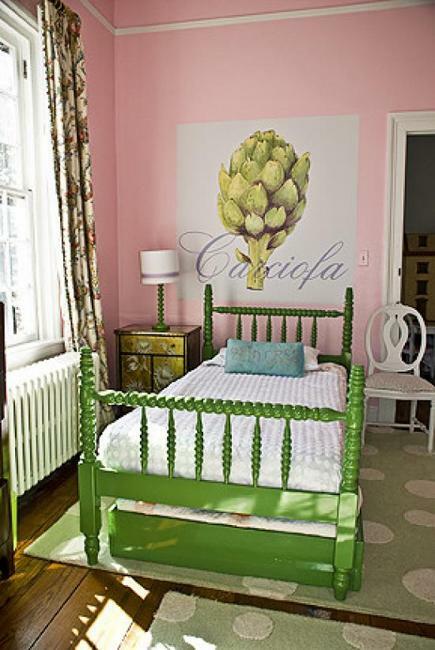 Pinks are fun colors, perfect for home furnishings, an accent wall paint, or romantic details. 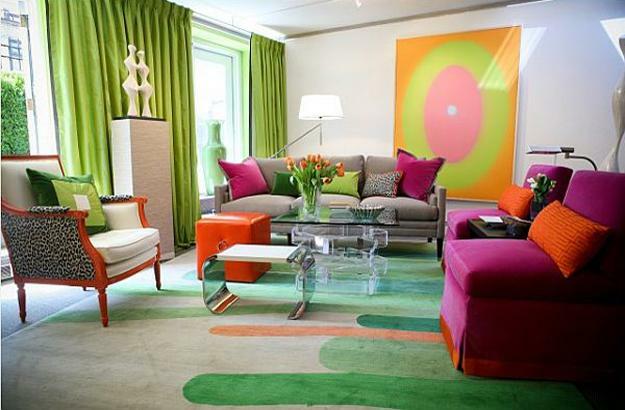 Greens are fabulous decorating ideas for creating comfortable and modern decorating. All whites, ivory, cream, pearl, black, beige, grayish blue and gray color tones make any pink hues feel bright and captivating. 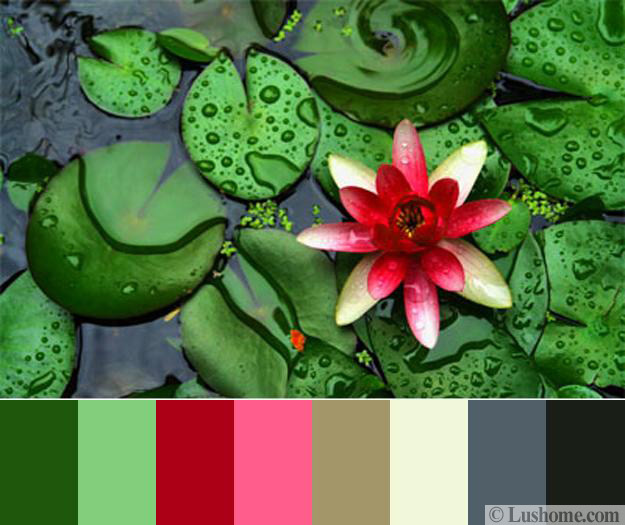 Look at the pink water lilies on green round leaves, check out the interior decorating ideas and outdoor decor in pink and green colors. Get inspired by their beauty and elegance. The high contrast of complementary colors creates a vibrant look, especially when used at full saturation. Warm greens and purplish pink hues, or pure green and reddish pink shades are beautiful. 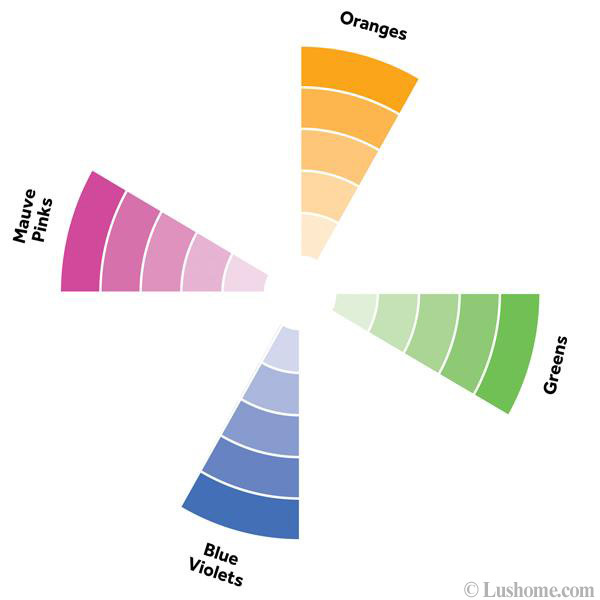 The square color scheme works best if you select one primary color and accentuate your interior design by adding details in three different complementing colors equally spaced on a color wheel. 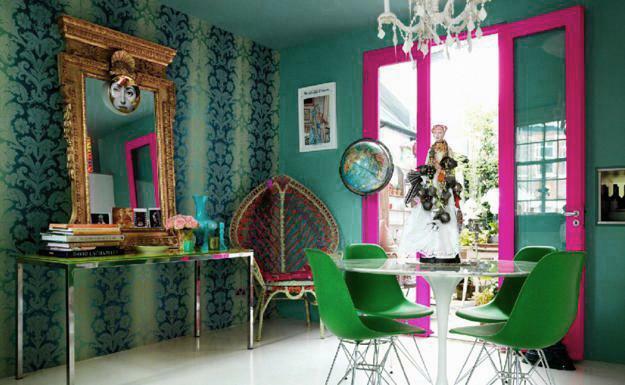 Then you can quickly to balance warm and cool hues in your room. 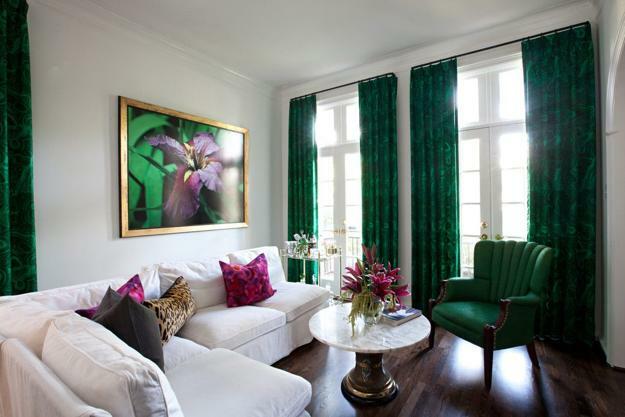 Off white and light-green colors are perfect for walls, curtains, and furniture upholstery fabrics. Bright pink accents make this versatile interior color scheme feel romantic and balanced. Golden and bluish-gray color, reserved for details, create sophistication and elegance. Any room will look beautiful and balanced. 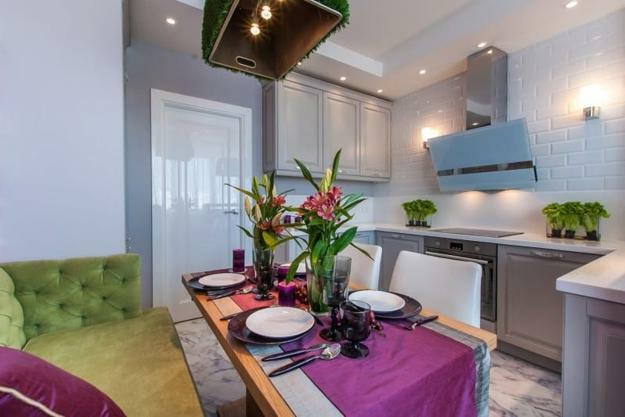 Select your favorite green, pink, and neutral colors for a complementary color scheme and enjoy fascinating contrasts while balancing cool tones and warm shades. Add bluish hues and golden accents for creating a sophisticated color combination that is beautifully balanced. Do not understate the accents. They are ideal for giving a unique look to your interior decorating and balancing your color scheme. 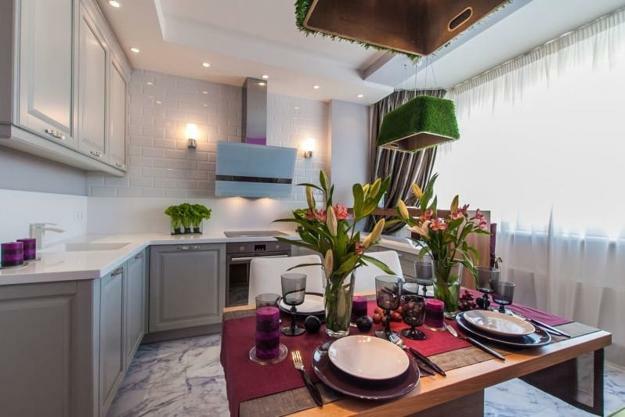 Pink flowers and modern flower designs are another important details which are perfect for romantic home decorating. 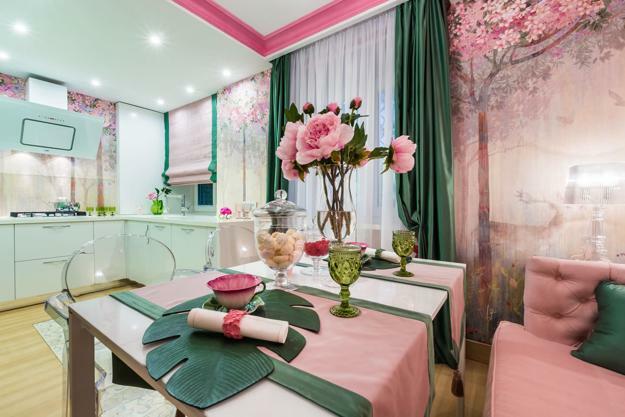 Green leaves and pink flowers are great inspirations for beautiful green and pink color schemes that look magnificent, feminine, and fresh.